Eclavia has been listening to the skin problems of many women. and those problems include age spots, wrinkles, sagging, and mainle aging. Do they have to give up, just because of their age? Absolutely not. Women can maintain beatuful skin if the inherent power of their skin is brought out. There are in fact many middle-aged women with beautiful skin. Ingredients that are exceptionally beneficial to the skin. That was not an easy task to pursue. Searching for and selecting various ingredients. Carefully selecting the quality of water and the area of production for ingredients. With all these components, “Eclavia Pre-skin care Serum” was produced. Your skin has the “power” to become beautiful. Simply try one drop on Eclavia on your face. 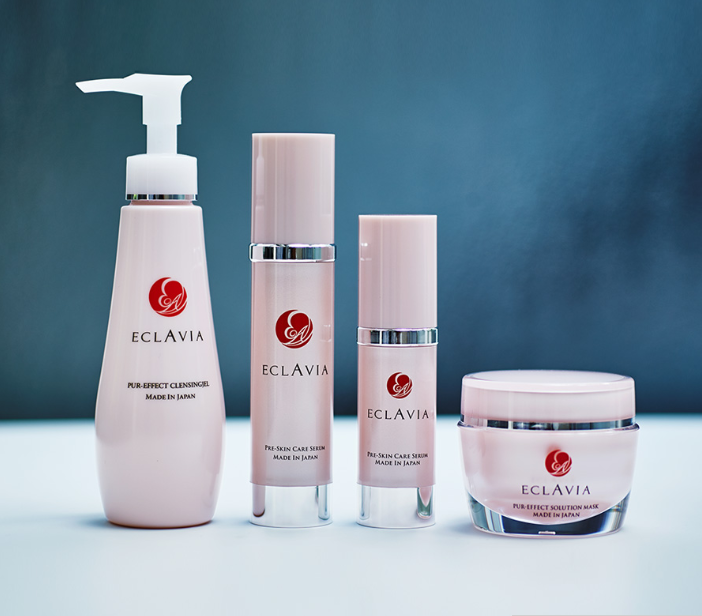 Eclavia pre-skin care serum focuses on the natural power of your skin. This essence is condensed with carefully selected ingredients to brighten your natural skin tone. Apply one drop of carefully selected condensed ingredients on your face after cleansing your face.